It’s not often that I have the opportunity to reflect on Salvadoran-American fiction. In fact, this is actually the very first time. The only other instance in which I’ve cited the work of a contemporary Salvadoran-American author is in a brief note on Juan José Martínez D’aubuisson’s Ver, oír y callar (2016), a nonfiction book on the infamous wars between El Salvador’s two rival barrios. Now, Randy Jurado Ertll’s El Cipitío (2016) has changed that. As a disclosure, I met Randy Ertll last summer at a Central-American festival in Los Angeles, where I purchased a copy of his book. The story of El Cipitío actually precedes Ertll’s book, going back to a Salvadoran legend about an orphaned boy spawning from an ‘extramarital’ affair between his mother, Siguanaba, and the Morning Star, otherwise known as Lucifer. In Nahuatl, or the Aztec language, Siguanaba means ‘beautiful woman’, which is what Cipitío’s mother is considered before his birth. By contrast, Sihuehuet means ‘ugly woman’, which is what Cipitío’s mother is considered in the wake of her ‘illegitimate’ child. Furthermore, in Nahuatl, Cipit is a word for youth, and today, almost any Salvadoran you can find will commonly refer to youth as ‘cipotes.’ If this has you wondering about how a North American or “Mexican” indigenous tribe’s language made its way into Central America, it’s because of the Aztec culture’s span into Central America at least half-a-century before the Spanish arrived to the American continent. In other words, Cipitío’s dance through the imagination goes back so long that probably no living person today could trace its exact timeline. Moreover, the story has changed throughout the ages to reflect the views of different generations in different contexts and environments. With this in mind, J.T.’s review will tell readers why Randy Ertll’s Cipitío (2016) gives voice to a quintessentially modern version of Salvadoran-American male youth culture across Central and North America, fulfilling a dire need for the representation of this culture in contemporary American literature. As an advisory, when I picked up the book, I had a choice between an English and Spanish version, choosing to go with the latter in an effort to improve my fluency. In turn, the following quotes will all be in Español, while my analyses will remain in English. A truly modern Latinx style of review. By introducing el Cipitío as a brown-faced boy of extraordinarily short stature–who nevertheless has hidden superpowers while being ‘cursed’ indefinitely to being ten years old–Ertll honors the essence of the legendary character’s features. But by referring to him as a ‘traumatized creature’ made by the ‘devil’, he describes a more modern and relatable figure to the ‘racial subconscious’; for one, Cipitío’s brown skin and short stature reflect the features of many real Latin-Americans, whose physical bodies, like our protagonist’s, occupy space in a world where tall, strident white figures symbolize the dominant order. For another, because even Cipitío’s own mother is a source of rancor for him, reminding him only of loss and separation, there is little to no chance for the youth to understand the layers of his story beyond that of the pain it invokes, a recurring theme for many Latino families as they tell the stories of their migration across lands. Ertll’s Cipitío is thus complicated from the beginning, setting him apart from the more simplistic youth in the legend who’s a generally happy character only occasionally suffering loss and chagrin. At the same time, for any reader who’s even slightly familiar with Latin-American displacement over the last three decades of U.S. policy, it’s clear that Ertll’s character is speaking to the historical periods preceding his contemporary one. By naming Virginia, Maryland and Washington D.C. as states where Cipitío’s twin brother possibly disappeared to, Ertll calls attention to the handful of places in the U.S. other than Los Angeles and New York where thousands of Salvadoran migrants took refuge during the eighties and early nineties. Once again, this is what makes the protagonist’s story highly relatable: the trajectory of Duende’s journey honors those of countless Central Americans displaced as a result of U.S. intervention in Latin America during 1970s and 1980s’ Cold War policy. Since at least the early 1980s, in the East Hollywood area Le Conte Middle School has been one of the only public middle schools–the other being Thomas Starr King–where a myriad of Salvadoran, Guatemalan and other central American families have sent their children to be educated. By sprinkling these small, communal sites of Los Angeles into the new Cipitío’s story, then, Ertll’s character speaks with authenticity to the lived experiences of many Salvadoran-American youth over the last forty years in settings like L.A. This is significant because Ertll understands that like Cipitío, many young Salvadoran-Americans in the U.S. can claim ties to far away, magical places in Central-America and beyond, but often view the ‘old country’ which their families once called home–like the neglected streets many of them live on, and like the frequently understaffed schools they attend–as anything but extraordinary. Thus, the new Cipitío puts these tiny ‘barrios’ on the map, or historicizes East Hollywood, Le Conte Middle School and more. Here, by going on to play mayor in his story, Cipitío makes the cut from a struggle which many ‘first’ or ‘second’ generation American youth find themselves grappling with at some point in their lives: the prospect of transcending poverty to move into the ‘middle-class’, despite being raised by parents laboring daily as garment factory workers, security guards, custodians, and in other jobs tied indefinitely to minimum wages. Following his successful tenure at City Hall, our protagonist aspires for an even higher office: the presidency of the United States itself. 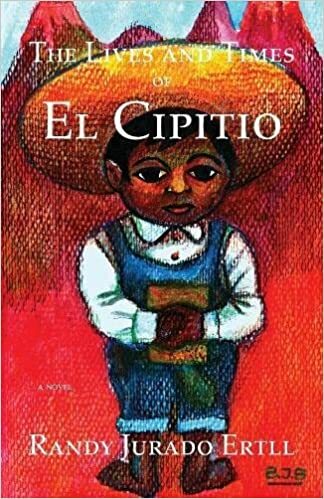 Cipitío’s ambition highlights the prevalence of the U.S’s popularity contest in the minds of many Salvadoran-Americans like himself, and plays to the reader’s delight: after all, who wouldn’t want to see a little brown-faced ten year old in the role of U.S. president for a change? This brings into focus the very reason that literature exists: to (re)imagine our world by other means. 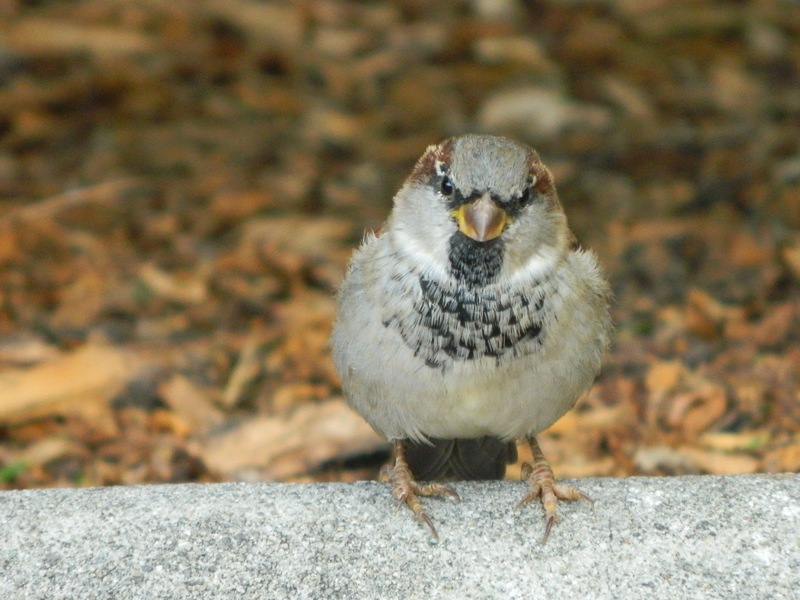 By this point in the novel, Cipitío’s growing aspirations are allowed to flourish in the ‘safe space’ of the literature, where something so ‘absurd’ as a Central-American directly challenging the confines of the ‘real world’ and claiming victory can take place (Spoiler Alert: Cipitío goes on to win the election for president by a landslide); a sequence of events that little Black and Brown children just like him all throughout Los Angeles and the world can benefit from seeing for a change. Even so, despite Cipitío’s unlikely success at the highest echelons of power, he continues to be haunted by the gorge of his memory, which navigates him back to a primordial need, for something even greater than the presidency: the need for a love that only a mother could provide to her son. Pero cuando despertaba, la realidad lo golpeaba con el peso de una tonelada de ladrillos; y se ponía enojado, furioso, enfurecido. Dreams can be nightmares, just as memories can take us back to some of our worst experiences of dehumanization, an appropriate reminder considering the recent incarceration of Central American children apprehended at the U.S. border by the U.S.’s latest ‘zero tolerance’ policy. Like Cipitío, these children, who have also been separated from their mothers and guardians–and who have even been tried in U.S. courts despite their age–just may be gifted with superpowers, especially if surviving the perilous trek to the U.S. has anything to say about it. Like Cipitío, they can also be mayors, presidents, and otherwise people who can change the world if only we’d let them; if only we’d meet them with the love that all ‘creatures’ like them need. It’s for these reasons and more that Ertll’s novel is a timely read for any ‘global citizen’ today, and one that has full approval from The L.A. Storyteller. To get your copy, check out Ertll’s website HERE.